Not that you’d know it from recent posts, but we are supposed to be a car blog. However, we do have a soft-spot for anything pedal powered – they were our first wheels after all. 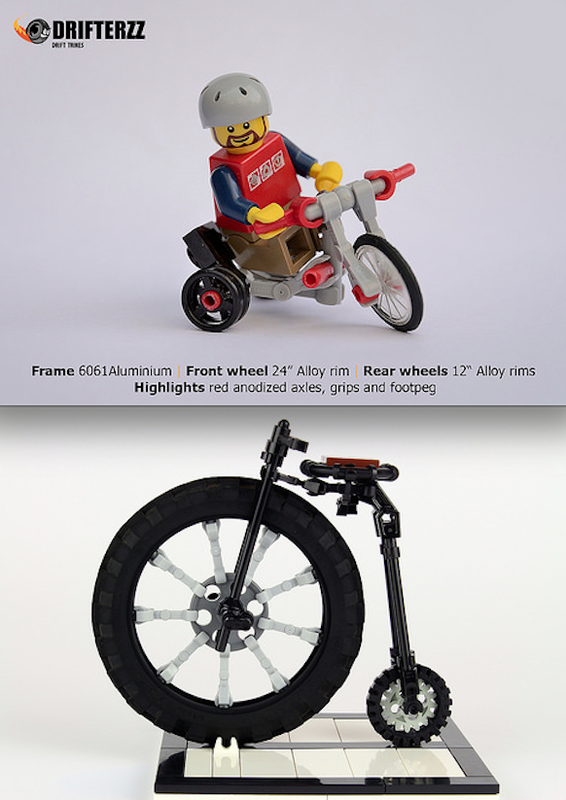 These two unusual builds come from Konajra on Flickr, and Stephan Niehoff of Flickr and MOCpages. Konajra’s drift trike looks like a riot of fun. The same can’t be said for Stephan’s penny farthing mountain bike, which looks like one of the most dangerous contraptions ever invented. Join the ride via the links above.